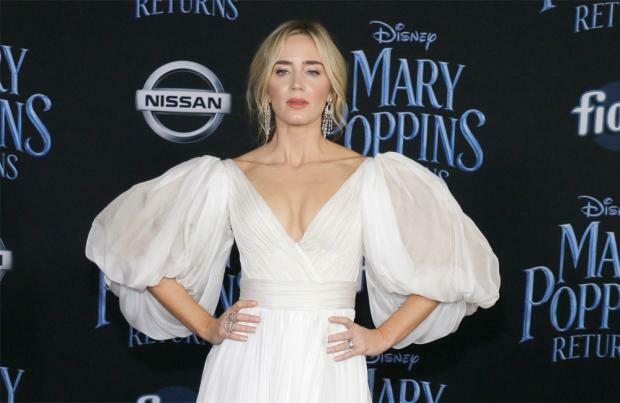 David Magee thinks Emily Blunt's portrayal of Mary Poppins included more of a "sharpness" then the original character. The director of 'Mary Poppins Returns' has admitted that in the reboot of the 1964 musical, the leading star added the "façade of a stern nanny" to the role – made iconic by her predecessor from Julie Andrews – and the filmmaker was able to "play with that". In an interview with Deadline, he said: "I think when we read the books, we all enjoyed her quirkiness, her vanity, her sharpness sometimes toward the children, and her ability to hide her warmth and caring behind a façade of a stern nanny. "And it was fun to play with that. I don't think we consciously said, 'We're going to do 40% from the books, and 30% from the movie,' or whatever, but as we were working on it, that was the character that most excited us. "And then when Emily came aboard, she took everything that I did in the script to another level, because she just had that. So, it was a wonderful process, watching it unfold." The director explained that he carried out research on the era in which the film is set prior to filming so he can tell the most effective story possible. He added "I try to always do my research into the era, so I read up on banking practices, and how shares certificates for companies work, and what happened in foreclosure in London during that era. "I don't think they want a lesson in banking; I don't think they want to know how contracts worked back then. We learned all we could, and then we took the license that we wanted in order to tell the story that mattered most to us."